Mrs. Lynch is the school counselor at LCCTC. She received her master's degree and certification in school counseling from Duquesne University. 42 U.S.C.A. § 11431 et seq. 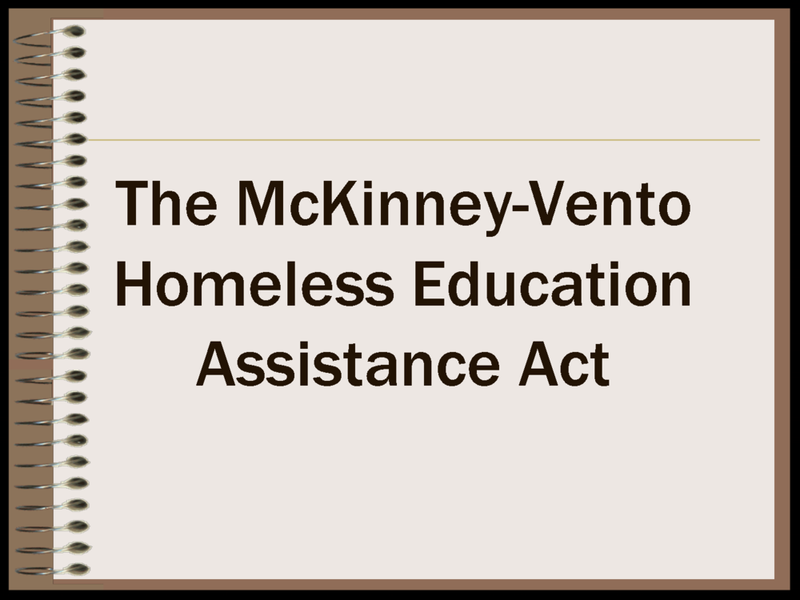 In 1987, Congress passed the Stewart B. McKinney Homeless Assistance Act, (subsequently renamed the McKinney-Vento Homeless Assistance Act) to aid homeless persons. The Act defines the term "homeless children and youths" as individuals who lack a fixed, regular, and adequate nighttime residence. The Act explicitly includes within the definition of "homeless children and youths" those who are "awaiting foster care placement."